People weren't the only victims of the earthquake in Chile. Rescue worker Cristian Velasquez found and comforted this puppy found alive Monday. 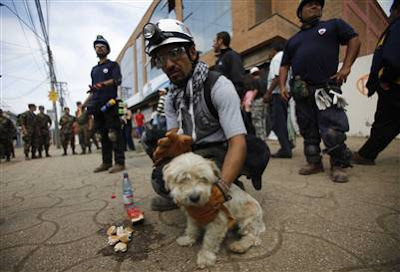 Velasquez gave him bits of food and water after rescuing him from inside a collapsed house in Constitucion.